(BPT) - While everyone eagerly waits for spring each year and wishes summer could last a month or two longer, when it comes down to it, fall just might be America’s favorite season. It’s warm but not hot, the air has that clean crispness that’s hard to describe and perhaps the biggest draw, pumpkin-flavored everything. And let’s not forget about all those bright, beautiful leaf colors that come with the change in weather. 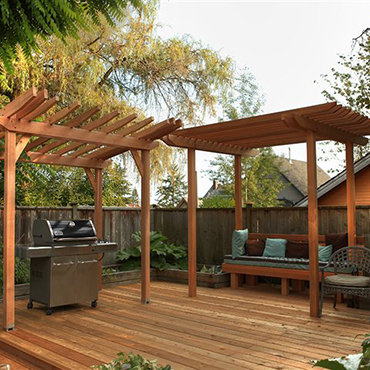 So why start shutting down your outdoor living space with the first sign of fall? For free downloadable project plans, visit RealCedar.com or for more fast facts on building with Real Cedar, download their free DIY app — available on the Apple App Store for iOS and at Google Play for Android.